LOQ founders Keren Longkumer and Valerie Quant (who fused their last names together to name the brand) design footwear that combines California's relaxed vibe with unconventional forms and eclectic textures. 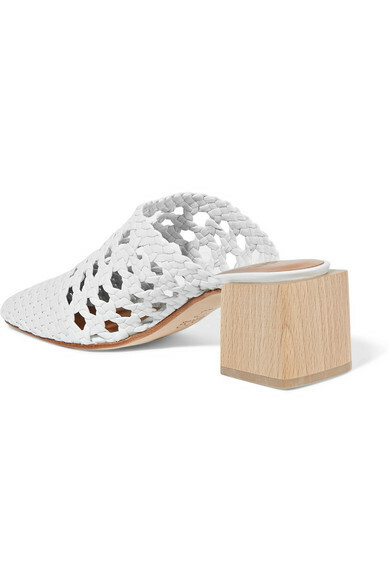 These handcrafted 'Ines' mules are woven from white leather and set on a sculptural wooden block heel that taps this season's trend of architectural shoe silhouettes. Style them with floaty dresses and cropped denim. 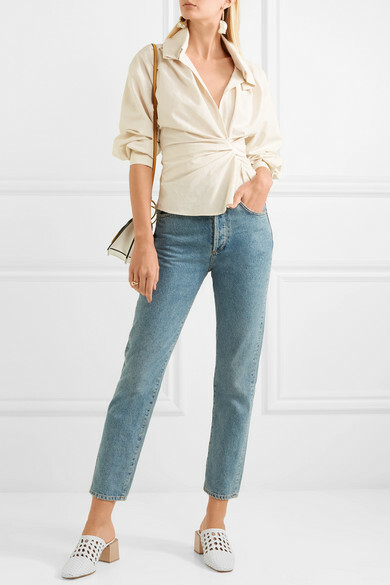 Shown here with: Goldsign Jeans, Jacquemus Shirt, Danse Lente Shoulder bag, Loewe Earrings, Jennifer Fisher Ring.